A taxi-driver has come forward who may be able to identify the brutal attacker who viciously assaulted a young Donegal woman on Sunday morning. Student Shanan Reid-McDaid was hospitalised after she was set upon by a stranger while waiting to get a taxi home after a night out in Letterkenny. 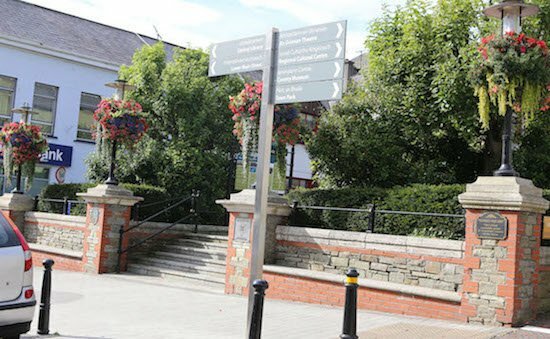 The 18-year-old from Letterkenny was left with severe facial injuries after an unknown man punched her in the face several times above the Market Square at around 3am. She bravely took to social media to appeal for witnesses and shared shocking images of her injuries. Now, a taxi-driver has come forward to say he may know the identity of Shanan’s attacker. The driver confirmed he picked up a fare at the same time that the young Galway University student was attacked and confirmed he fitted the description given by Shanan. The driver also confirmed that the man was in an agitated state when he got into his taxi. The man was due to call to Letterkenny Garda Station to pass on the details of the event and other information to Gardai. Shanan said she is hopeful that the breakthrough may lead to the right person being arrested for her attack. Shanan told Donegal Daily: “I know the taxi driver is going to speak to Gardai and hopefully this person will be interviewed. “I can’t say a lot more than that but I really do want the person who done this to me is brought to justice. “I wouldn’t like to think that he is simply walking the streets and can do this again,” she said. The man fled leaving Shanan black and blue and bleeding from the nose with cuts to her head. The 18-year-old from Illistrin in Letterkenny again appealed to young women not to walk home alone when out. “I didn’t think this could or would happen to me and yet it did. I would just ask young women to be so aware and to keep their wits about them at all times. “I know it should never happen but it is not safe out there for women to walk home alone,” she said. Shanan was yesterday (Tues) receiving further treatment for her injuries at a specialist unit at Sligo General Hospital. A Garda spokesman at Letterkenny Garda Station confirmed they received a complaint about the attack. They are reviewing CCTV footage from the area and added that a full investigation into the incident is currently underway but no arrests have yet been made.